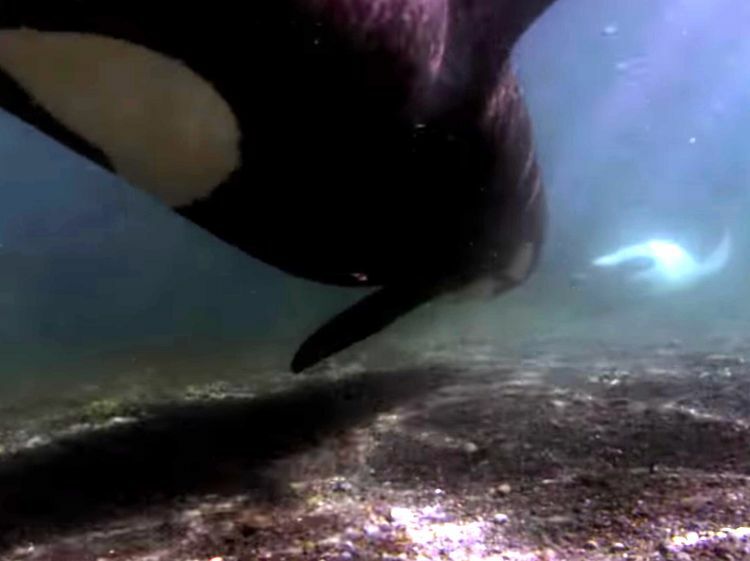 It’s a day at the beach for this family of Orcas – the rubbing beach. It’s where these playful whales go to rub their underbellies against a bed of stones on the ocean floor. No one knows exactly why, especially since not all Killer whales exhibit this behavior. In fact, this particular family is the only pod amongst four known groups of whales in British Columbia to spend their time this way. Our uncertainty doesn’t stop people from coming up with some interesting ideas! One idea is that rubbing beach trips are a cultural phenomenon. The assertion is more exciting than it seems – not everyone believes that whales are advanced enough to have cultural habits and traditions. One saucy journalist has taken this hypothesis one step further. Perhaps, he surmises, the whales are excited by the potential pitfalls of being so close to shore. Like humans, they might bond more strongly in the face of danger. It is basically wistful thinking supported by very little – if any – scientific evidence, but it’s still fun to think about. Imagining whales double daring each other to tackle dangerous deeds makes them seem almost human. Killer whales visit the same rubbing beaches again and again, just like you or I might frequent our favorite family get-away. This particular family is comprised of the matriarch – Stripe – along with three of her children and one grandchild. The little one hasn’t completely bought into the whole idea of pebble rubbing, but she still follows her mother through the motions. Even at two years old, her mom is her whole world. She’ll stay with her family her entire life. That sounds like culture to me. Don't let the "now streaming" label fool you. This video is ancient history. 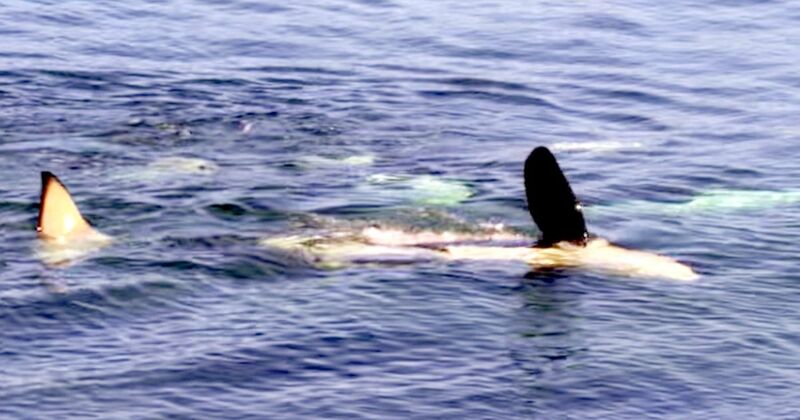 Midsummer - the calf in the film - can now be spotted swimming alongside her own two calves. And, of course, alongside her mother. There's no way she could have anticipated this. Dog left with heartbreaking note and box of toys finally adopted.